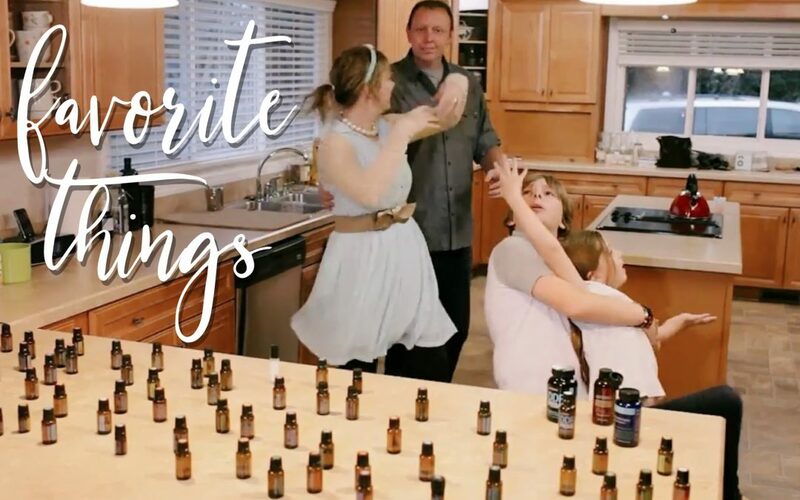 Warning: The side effects of essential oils use may include silliness, laughter, joy, and excessive amounts of twirling in the kitchen. * A few people over these last months who remembered when I posted this video in 2013, have asked me to share it again. *** Obviously, the lyrics are NOT meant to provide medical advice; these were written in sheer fun, just days before Carrie Underwood went live with the Sound of Music on National television. The kids and I were excited about watching the show, and we put our creativity into geeky action that week with the video help of Mabyn Henderson (Mabyn Ludke at the time, and friend for life!). I was out of my contact lenses, so I was wearing an out-dated glasses prescription so that I could SEE! But we let our silliness out that day anyway. You can see how loving Mike was, in that he “played along” and let himself join in with all the nerdy fun we were having. I pulled this video from the internet when our compliance team cracked down with the stringent rules placed on all the essential oils companies. But I asked our compliance team if I could re-post this since it is one of my only doTERRA expressions that has Mike in it, and we miss him terribly. *** So please just receive this in light-hearted fun, and don’t get all weirded out, thinking that I’m expressing something that we aren’t, or stating any health claims. Thank you! **** FINALLY, oils, herbs, and the re-igniting of fond memories with those who have passed away are all AMAZING tools to soothe the deep pain of GRIEF. So, I invite you to share the bests of those YOU loved (and love still). We miss you, Michael Shroyer!